Home remedies for pink eye, stye's and eye irritations are close at hand for effective cures. As a person with eye issues I have learned them all over the years. I have used many of the things below. Herbal eye-washes have been used for eye problems over the years. They always made sure the teas made were stained and cooled before using them. Remember a small piece of matter from an herb or a microscopic grain of sand, or water contaminates can cause more harm than good. If you must use a homemade eye-wash, straining through doubled coffee filters should help remove damaging particles. All compress should be used only fifteen minutes per hour and at the least fifteen minutes four times a day. With pink eye and stye's I would start with a warm compress. But with irritations you start with cold compresses the first day or two and then start warm compresses. I like my eye washes room temperature. First the bugs causing infection are sensitive to heat plus; heat helps increase blood flow in the eyes and thus rinses the eye of toxins. So a good old fashion water compresse can work for most eye irritations. And my most used remedy is with salt. A cup of water, add a forth of a teaspoon of salt, and it works wonders. They say to boil it first, but I just use warm water and stired. and used it as an eye wash. But....... I have read that adding a teaspoon of powdered charcoal with the salt, boiling and then staining makes a great eye drop. They say use 4 or 5 drops a day. Also you can use baking soda instead of the salt. You can use any of the following for pink eye....chamomile, elde berry blossoms, fennel seeds, dandelion, parsley or burdock root, can all be boiled in water, strained (or you can wrap the boiled herbs in a cloth) and cooled and used as a compress and an eye wash. Even marigold has strong anti septic and anti inflammatory properties. Marigold extract can cure pink eye fast and effectively. Ladies know this one already, potatoes, cucumbers on the eye help with irritation. I always thought it was because it was cool, but it is because they contain a natural astringent. A clay mask will help with reducing swollen eyes and soothes them to. If you are a prepper you know that warm milk help with eyes ( milk for mace irritation). But it also help with pink eye. Even try yogurt. Try a piece of cold bread on your eye while your at it. Turmeric is a natural antibiotic and steroid and thus harmless. Add two table spoons of turmeric powder to a cup of boiled water and use it as an eye compress for quick relief from pink eyes. Or you can make eye drops by mixing one tsp turmeric powder in 2 cups of water. Use this at least three times a day till the swelling subsides. It was pretty much good home remedies for eye care, I would want to gain more useful info regarding on the potpourri incense that can be useful also in taking care of the health. I will try, I think my skin is starting to hate me. Am always I perfect skin so no need to take care of it, well I do link Maxolip. I learned that the products are gentle on eyes with or without contacts. This link is Eyelastin very good. I wanna try this at home but I'm not sure about Pine bark extract if its available here in our place. Hopefully I can make and try this. Thanks for sharing Urban chick! Testing And Tracking apple extract benefits To Help You Rock The apple extract benefits Realm. A Gentleman Who Was Able To Sell His Exclusive herbs gallery Script For 1 Million. There is a lot of information in this post i am very happy to see this post. This is a great post. It’s Very informative and well writing. I think your herbal is much effective and good home remedies for eye care.Your blog is really interesting and have a great information.Thanks a lot!!! I have tried home remedies for eye problems, but never seem to get results. My little brother has an eye ache, so we are looking to take him to an eye doctor. Hopefully they will be able to diagnose the problem and fix it. This is written very well you are a very good writer and you know what we want. I am agree with you. Hope you will Carry own writing in the same way. Thumbs Up! Its a very useful and informative blog for me. I am very much benefited after reading this blog. Thanks a lot for sharing. It is very good and helpful blog. It has great info also. When you are moving to a new place, It is always the first option in your schedule of immediate must do's to find the best health service providers in the locality. Registering with a competent and experienced physician is always top priority, and equally important is finding the best eye clinic for your family's regular eye care.The eyes are like sentinnel that occupy the highest place in our body. All of us are aware of the importance of eyesight, in the upkeep of the quality of our lifestyle. When you are searching to register with an eye clinic in a new area, it is important to make sure of the quality of service rendered out in the place. If you are on the look out for a good Optometrist in United States, For more information about Boise Mountain Eyecare please visit our website. fashion your skin with the best care of skin treatement you must be follow on :-There are Natural Clear Skin Acne Soap particular skincare units by the side of best or high quality item or obsessions with the main purpose can all Natural Face Cleanser USA access the side of over the problem with the main purpose is necessary to have. There are very little by the side of Natural Lip Balm USA general item or obsessions all associated in the middle of with the main purpose particular Natural Face Mask USA possible ways. Your blog has a good information. The detail you provided is really great and best way for home remedies. Your blog has a good info. Cyclomune 0.05 is the best medicine for eyes. Your post is very good. 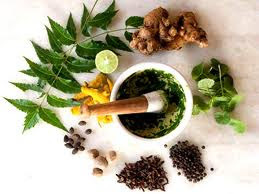 In this blog you mentioned very well about Ayurveda eyes treatment. Very interesting blog. I love it.